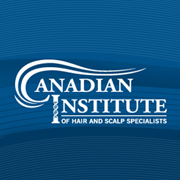 The Canadian Institute of Hair and Scalp Specialists, a Toronto-based organization offering hair loss treatment for over 25 years, is providing tips on how to prevent female hair loss. “Female hair loss is still somewhat stigmatized and not addressed much publicly. However, most females will experience some form of hair thinning by the time they reach middle age, meaning it needs real solutions,” says Ken Robson, founder of the Canadian Institute of Hair and Scalp Specialists. Robson explains that diet is a determining factor in female hair loss. Not getting the required iron can lead to premature thinning and the loss of strength of hair follicles. Robson notes that women can even flip the direction of their hair. It may sound ridiculous, but when hair is flipped the same way over and over, it ends up laying on the scalp. Flipping in a different direction can add volume, Robson explains. “With all that said, there comes a time when hair thinning or hair loss becomes inevitable and more drastic measures must be taken.